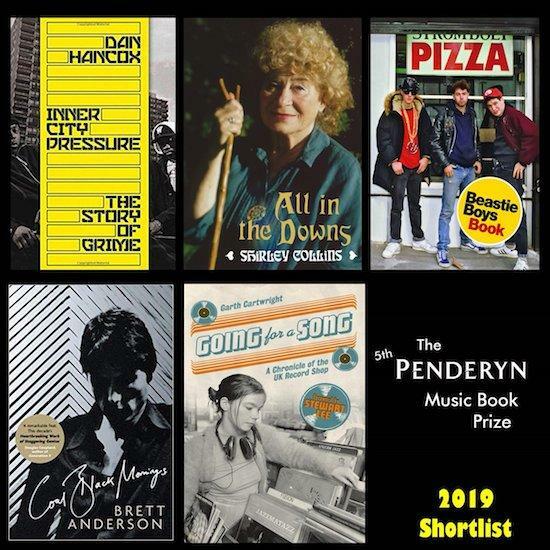 The 2019 Penderyn Music Book Prize has announced a five book shortlist for this years prize, with the memoirs of Shirley Collins, Suede’s Brett Anderson, and The Beastie Boys all notable choices. Since 2015, the prize has been awarded to the year’s best music history, theory, or biography title, making it the only UK-based book prize to focus specifically on the genre. 2019’s iteration, the fifth annual award, will be presented on Sunday 7 April at West Wales’ literary festival Laugharne Weekend. The shortlist is as follows; Shirley Collins’ All In The Downs: Reflections on Life, Landscape and Song, Brett Anderson’s Coal Black Mornings, Michael Diamond & Adam Horowitz’s The Beastie Boys Book, Dan Hancox’s Inner City Pressure: The Story of Grime, and Going For A Song: A Chronicle of the UK Record Shop by Garth Cartwright. Past winners have included Stuart Cosgrove's Memphis 1968: The Tragedy Of Southern Soul and Daniel Rachel's Walls Come Tumbling Down. Each year, the Penderyn Music Book Prize is judged by a panel selected from all corners of the music industry. Whilst previous prizes have been judged by the likes of Shane MacGowan, Tracey Thorn and Stewart Lee, year’s panel features Rough Trade founder Geoff Travis, Madonna biographer Lucy O’Brien, and former international footballer Pat Nevin.